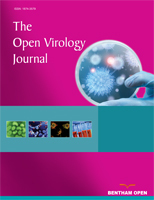 Different rate of development of productive infections (as low grade cervical intraepithelial neoplasias), or high grade lesions and cervical malignant tumors associated with infections of the Transformation zone (TZ) by High-Risk Human Papillomavirus (HR-HPV), could suggest that different epithelial host target cells could exist. If there is more than one target cell, their differential infection by HR-HPV may play a central role in the development of cervical cancer. Recently, the concept that cancer might arise from a rare population of cells with stem cell-like properties has received support in several solid tumors, including cervical cancer (CC). According to the cancer stem cell (CSC) hypothesis, CC can now be considered a disease in which stem cells of the TZ are converted to cervical cancer stem cells by the interplay between HR-HPV viral oncogenes and cellular alterations that are thought to be finally responsible for tumor initiation and maintenance. Current studies of CSC could provide novel insights regarding tumor initiation and progression, their relation with viral proteins and interplay with the tumor micro-environment. This review will focus on the biology of cervical cancer stem cells, which might contribute to our understanding of the mechanisms responsible for cervical tumor development. Keywords: Cancer stem cells, cervical cancer, human papillomavirus, squamous cell carcinoma, transformation zone..
© López et al. ; Licensee Bentham Open.